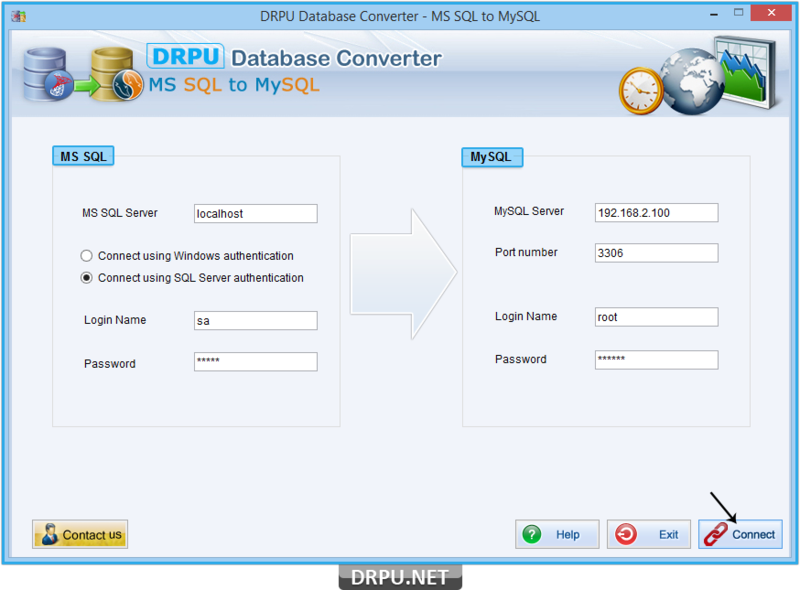 DRPU database converter – MS SQL to MySQL easily converts entire or selected MS SQL database records into MySQL database records without changing original table records. Database conversion tool provides facility to connect MS SQL server and MySQL server locally or remotely. Software support all datatypes, indexes with all necessary attributes, views, queries and key constraints. 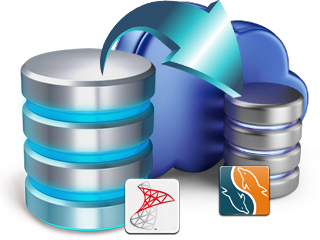 Database conversion program works with all versions of MS SQL and MySQL server. Database converter software allows you to select schema items automatically or manually. Database conversion tool offers a simple step-by-step wizard interface that allows you to connect to the source database (i.e. MSSQL database), select the tables or whole database that is to be converted and then convert into MySQL database and saves at user specified location. ◆ Convert selected tables or complete database records of MS SQL into MySQL format with full support to database constraints, data types and attributes. ◆ Converts data base records with full accuracy which means no loss of any kind of data while converting the database records. ◆ Provide easy, fast and accurate DB conversion from one format to another in which the user can choose either a particular selected table or whole database for conversion.